What if, shortly after this photograph was taken, a baserunner careened into Craig Biggio in the manner in which Pete Rose, in an All-Star Game, separated Ray Fosse’s shoulder and Fosse from his destiny? Fosse was one of the most promising catchers in the league up to the moment of the injurious collision; afterward, he was never the same. Biggio never relied on luck—no one verging on baseball immortality ever could—but who is beyond the reach of luck? I’m the farthest thing from a daredevil or from someone like Biggio who bravely put himself in the path of hardship and pain (after starting out as a collision-inviting catcher he went on to become the all-time leader in being hit by pitches), but even in my timid wanderings I’ve brushed up against the other side of the random gift of life enough times to sense that other side as a presence. One day as a child when I was riding my bike to the general store to buy baseball cards, I almost got hit by a semi. There were other close calls to follow over the years. I almost got mauled by a snowplow, almost rammed into an oncoming vehicle while daydreaming at the wheel, fell off a mountain bike and bounced for several moments down a steep rocky ridge. That last moment ended with me as something like a lawn-sprinkler spraying blood, and I was in pain for weeks, but somehow nothing was broken. “You are beautiful,” I told everyone I came into contact with for a couple of days. “I love you,” I told everyone. Soon enough the feeling diminished. I went back to the usual, hiding, lying, worrying. Such is my life. Was I meant for any other than the one I’m living? Was there some true path I missed? Some decision I should have made that I didn’t? Is there ever anything but pure dumb luck? This morning my younger son, who’s seven months old, woke up at four a.m. I took him out into the living room so that my wife could get a little sleep. He fell back asleep on my chest as I sat in the recliner. I could feel his weight, his breath coming in and out. You are beautiful, I was thinking. I love you. Immortality is always one thin moment away, and it will have nothing to do with who we think we are. 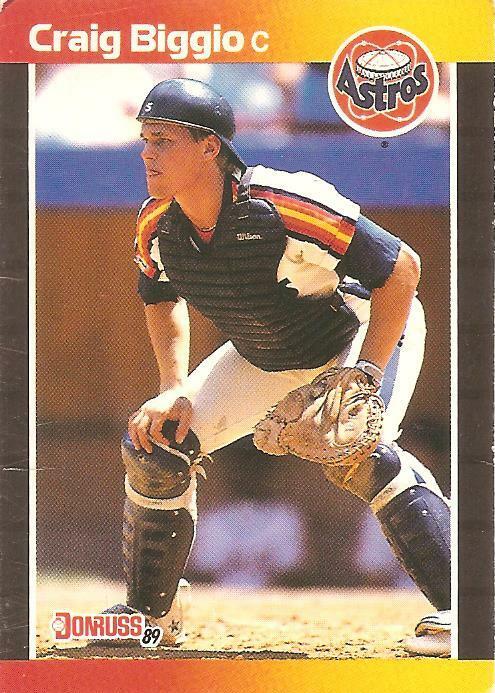 You are currently browsing the archives for the Craig Biggio category.